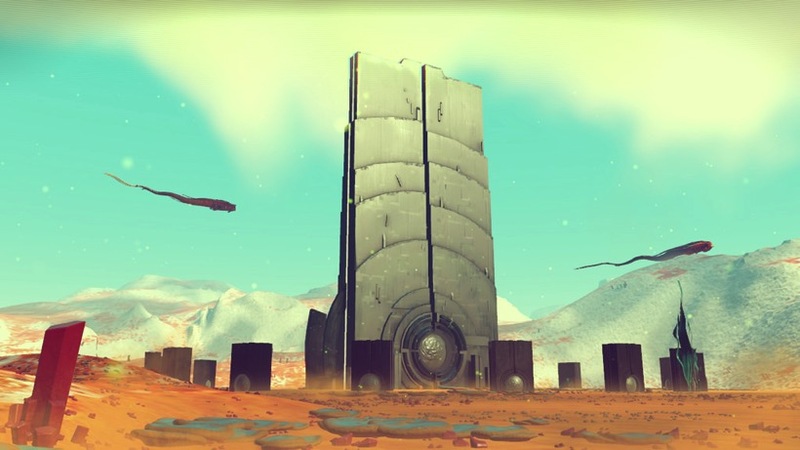 The more I find out about No Man’s Sky, the happier I am. The game sounds so incredible and I’m just so excited to have the controller in my hand and go exploring. Of course, there is also a lot of confusion about what you can actually do in the game and how it all works. Over on the PlayStation Blog, they’ve revealed 41 secrets of No Man’s Sky, and some of them are rather spectacular. First up, some things I was aware of but everyone else might not be. The universe in the game isn’t actually infinite, but it does contain 18 446 744 073 709 551 616 planets, so it sort of might as well be infinite. It also isn’t random – procedural generation doesn’t mean random, but that it is governed by set mathematical rules to ensure that it’s consistent and always makes sense. This ties into how the game is stored, or rather, how it isn’t stored. The world around you is generated by your PS4 at the point you visit it. Leave and it’s all thrown away, but if you return it is generated again exactly as it was. This also means the game will be completely playable offline. Planets are defined by their position in space. If they’re close to their sun they’ll tend to be more barren; further away and they’ll tend to be cold. The planets in between tend to be richer with life. Most planets are barren. Few planets will be dense with plant life and animals. Most will be barren, but even barren planets can be sources of great wealth. Planets can be toxic. Some planets are deathtraps, with radiation or other hazards that will kill you in minutes. To survive you’ll need to upgrade your suit. During the gameplay we watched, the Sentinels were patrolling the planets, giving you a wanted level for upsetting the natural balance of planets and eventually hunting you down or even killing you. However, not every planet is policed, making those lawless lands invaluable for mining. There is still so much to discover about the procedurally generated playground and I just want to jump into my own ship and start exploring. Of course the blog didn’t reveal the secret we’ve been waiting for the most – a release date. There are rumors that it might be coming as early as September, but I’m not going to hold my breath for that. There is already so much coming September, and October and those release windows will only get more jam-packed. Are they really going to release such a different type of game to compare with more traditional experiences? Then again, who knows how they have it all planned out.